Francis E. “Frank” Rodríguez is a member of the firm’s Executive Committee and a Co-Chair of the Tax and International Law Practice Group. A Martindale-Hubbell AV® rated attorney, Frank focuses his practice on general business transactions, with an emphasis on federal and Florida tax issues. Frank frequently advises lenders and borrowers engaging in commercial financing transactions. With respect to Florida matters, Frank coordinates voluntary self-disclosures with the Florida Department of Revenue. Frank represents non-resident individuals and foreign corporations with inbound tax planning, and U.S. individuals and domestic corporations with outbound tax planning. He counsels international families in succession planning, estate planning, trust issues, probate administration and litigation matters, and federal tax reporting, including voluntary self-disclosures. In connection with his international practice, Frank represents acquirers and sellers of multi-national businesses. 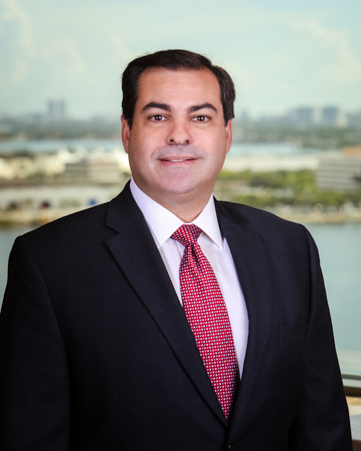 Frank is a member of the Tax Section of The Florida Bar and serves on the President’s Council of Florida International University, among several other professional and civic organizations. He was awarded the Dade County Bar Association Pro Bono Award for his pro bono services. He also has spoken to various local and international organizations regarding federal and Florida legal and tax issues and is often quoted in publications regarding tax and business issues important to those doing business in or from Florida. Represented the estate of a major international recording artist in various probate and related litigation matters. Represented a client with respect to a Florida documentary stamp tax audit involving a potential liability of about $1 million on a deed. The Florida Department of Revenue ultimately conceded that no liability existed. Represented a major international recording artist in negotiating and assisting in the preparation of agreements related to multiple tours, including tour, marketing, licensing, and venue agreements, and merchandise contracts, and a life story agreement with a large entertainment company. Represented a long-standing Italian luxury yacht builder in its multi-million dollar acquisition of a U.S. yacht builder. Represented an international owner of a local gaming concern in negotiating and documenting a joint venture agreement with its minority partner. subsidiary of an architectural firm for its ongoing Brazilian operations. Shutts Attorneys Named to "Super Lawyer"